Georgia consists of some 70,000 square kilometres encased between the Black Sea to the west, the Greater Caucasus Mountains to the north, the Lesser Caucasus Mountains to the south, and Azerbaijan to the east. To the south, the country borders on Turkey and Armenia, and to the north on mighty Russia. About 40% of the population of 3.7m lives in the capital of Tbilisi. Although fairly compact, Georgia offers a great diversity of soils and climates. The Greater Caucasus Mountains shelter the country from cold northerlies and, in their lee, can give rise to warm and dry foehn winds. The west is mild and wet, with as much as 2,500mm annual rainfall in Batumi on the Black Sea. The east with its valleys and plateaus is dry and more continental, with a greater diurnal and annual temperature range. Tbilisi, for instance, receives just 500mm annual rainfall. Harvest dates vary according to the local grape varieties and conditions: broadly speaking, the harvest begins in September in Kakheti in the east and wends its way westwards. Our word ‘wine’ may ultimately derive from the Georgian gvino. The Caucasus, and Georgia in particular, is often regarded as the cradle of wine, which, according to the archeological evidence, was being made in the region some 8,000 years ago. Wine occupies an important place in Georgian culture: it is said that the tendrils of the vine inspired the curly forms of the Georgian script. Still today, Georgians throw elaborate feasts moderated by a tamada or toastmaster, who by his art, and calling upon that of the guests, turns wine drinking into an act of life and death. In the 19th century, phylloxera ravaged the country’s vineyards. For most of the 20th century, Soviet winemaking emphasized quantity over quality, prioritising high yields and high yielding varieties such as Rkatsiteli. In 1991, the Republic of Georgia declared independence from the USSR. Still, Russia remained the major export market, accounting for some 80% of Georgian wine sales. From 2006 to 2013, Russia imposed an embargo on Georgian wine imports. With most of domestic demand met by home winemaking, exporters had to turn to more demanding markets and compete on the international stage. The bulk of Georgian wine exports, though entirely competent, are what the Georgians themselves call ‘factory wines’, while the country’s real reputation rests with its much more rare kvevri wines. UNESCO lists the ancient practice of kvevri winemaking as an Intangible Cultural Heritage. A kvevri is a large, turnip-shaped earthenware vessel used for fermenting, ageing, and storing wine. Its interior is lined with beeswax, and its exterior is coated with lime for sanitation. In most places, it is buried or part-buried for insulation. Traditionally, it is topped with a wooden lid and sealed with clay. The harvested grapes are lightly crushed and entered into the qvevri, often along with skins, seeds, and even stems. Fermentation is natural and there is no temperature control: the wines are rich, vivacious, and characterful, but there is considerable unpredictability and variation from vessel to vessel. ‘White’ wines are amber or orange from sustained skin contact, though to call them ‘orange wines’ can lend to confusion. Kvevris entered into the international consciousness in the 1990s when some Italian winemakers ‘discovered’ them for the West and started using them. There are well over 400 different grape varieties in Georgia, of which 38 are commercially cultivated to make wine. The most popular include Rkatsiteli (‘red stalk’), Mtsvane, and Chinuri for the whites; and Saperavi (‘dye’), Tavkveri, and Chkhaveri for the reds. The most prevalent variety by far is Rkatsiteli, which is often blended with the more aromatic Mtsvane. Though a workhorse grape, Rkatsiteli is versatile and capable of high quality, especially in qvevri. The most prevalent black variety is Saperavi, a teinturier grape that is high in colour, acidity, and tannins. The overwhelming bulk of Georgian wine is made from indigenous varieties, often in a blend; of the international varieties, the most notable is Cabernet Sauvignon. Georgia counts 45,000ha under vine spread over 10 viticultural regions. There are a total of 18 appellations, of which 7 are for dry white wines (Gurjaani, Kakheti, Manavi, Sviri, Tibaani, Tsinandali, Vazisubani), 4 for dry red whites (Kvareli, Mukuzani, Napareuli, Teliani), 1 for both dry white and dry red wines (Kotekhi), 3 for semisweet red wines (Akhasheni, Khvanchkara, Kindzmarauli), 1 for white semi-sweet wines (Tvishi), 1 for sparkling wine (Ateni), and 1 for fortified wine (Kardenakhi). Most of these appellations are based on Rkatsiteli or Saperavi. Manavi is based on Mtsvane, but can include some Rkatsiteli. Khvanchkara is based on Alexandrouli and Mujuretuli; Sviri is based on Tsolikouri, Tsitska, and Krakhuna; Tvishi on Tsolikouri; Ateni on Chinuri, Goruli Mtsvane, and Aligoté; and Teliani on Cabernet Sauvignon. A full 14 of the 18 appellations are in the eastern Kakheti region, which accounts for almost 70% of the country’s vineyard area and 80% of its wine production. Kakheti is located in the valleys of the Alazani and Iori Rivers. Its capital Telavi is a two-hour drive out of Tbilisi, crossing by the scenic Gombori Pass. The region is noted for, among others, its ‘cinnamonic’ soils, sandy clays with a high iron content and reddish colour. The picturesque hill town of Sighnaghi (or Signagi) is home to Pheasant’s Tears, a seminal producer of kvevri wines. Of the remaining four appellations, Ateni is in Shida Kartli (Inner Kartli), Khvanchkara and Tvishi are in Racha-Lechkhumi, and Sviri is in Imereti. Mountainous Imereti in the west is the second most important wine region after Kakheti. It is especially noted for white wines made from Tsolikouri, Tsitska, and Krakhuna, among others. In Imereti, qvevri are called churi, and the regional tradition is for much less skin contact, leading to lighter, less astringent wines. Khvanchkara, a semi-sweet red wine made from Alexandrouli and Mujuretuli in Racha, is famous/infamous for being the favourite of Stalin, who was born in this land of plenty. Naoussa is a hill town to the west of Thessaloniki, overlooking the plain of central Macedonia. In myth, the area was home to Semele, the mother of Dionysus by Zeus. When Semele perished, Zeus stitched the foetus Dionysus into his thigh, whence the Dionysian epithet dimētōr: ‘of two mothers’, or ‘twice born’. At the nearby temple of the Nymphs, Aristotle tutored future leaders including Ptolemy, Cassander, and, most famously, Alexander the Great. It is said that Aristotle prepared for Alexander a special edition of Homer’s Iliad, which inspired the young prince to model his life on that of the demi-divine Achilles. The 500ha of Naoussa are the spiritual home of the most noble black grape of Greece, Xinomavro (or Xynomavro, ‘sour black’). Vineyards are interspersed with orchards at altitudes of 150 to 400m on the southeastern slopes of Mount Vermio (2050m). The soils are far from uniform, and include patches of limestone, clay, loam, and sand. Although summers are hot and dry, autumns are rainy and erratic, and winters cold and snowy, leading to considerable vintage variation. Sheltered, sloping, and south-facing sites are favoured to protect against spring frosts and maximise sun exposure. If the soft and rich Agiorgitiko is a courtesan, then Xinomavro is a hermit, and a very prickly one at that. Yields are capped at 70hl/ha, but ambitious producers might aim for half of that. Like the light coloured Barolo, with which it is often compared, Naoussa is structured and savoury with high acidity and tannins, although, as with Barolo, there is a more modern style that requires less time in cask and bottle. I haven’t tasted a large enough sample of Naoussas, but so far the wines that I have tasted seemed more herbal and more ‘churchy’ than either Barolo or Etna and with a more pronounced tomato note. The Xinomavro of Naoussa can be compared with that of Amyndaio 20 miles to the west, which, owing to higher altitudes, is typically fresher. Other PDOs that use Xinomavro are Goumenissa to the northeast, in a majority blend with Negoska; and Rapsani on the lower foothills of Mount Olympus, in an equal blend with Stavroto and Krassato. A person with narcissistic personality disorder has an extreme feeling of self-importance, a sense of entitlement, and a need to be admired. He is envious of others and expects them to be the same of him. He lacks empathy and readily lies and exploits others to achieve his aims. To others, he may seem self-absorbed, controlling, intolerant, selfish, or insensitive. If he feels obstructed or ridiculed, he can fly into a fit of destructive anger and revenge. Such a reaction is sometimes called ‘narcissistic rage’, and can have disastrous consequences for all those involved. Narcissistic personality disorder is named for the Greek myth of Narcissus, of which there are several versions. In Ovid’s version, which is the most commonly related, the nymph Echo falls in love with Narcissus, a youth of extraordinary beauty. As a child, Narcissus had been prophesized by Teiresias, the blind prophet of Thebes, to ‘live to a ripe old age, as long as he never knows himself’. One day, Echo followed the grown up Narcissus through the woods as he went about hunting for stags. She longed to speak to him but dared not utter the first word. Overhearing her footsteps, the youth cried out, ‘Who’s there?’ to which she responded, ‘Who’s there?’ When at last she revealed herself, she rushed out to embrace Narcissus, but he scorned her and pushed her away. Echo spent the rest of her life pining for Narcissus, and slowly withered away until there was nothing left of her but her voice. Some time after his encounter with Echo, Narcissus went to quench his thirst at a pool of water. Seeing his own image in the water, he fell in love with it. But each time he bent down to kiss it, it seemed to disappear. Narcissus grew ever more thirsty, but would not leave or disturb the pool of water for fear of losing sight of his reflection. In the end, he died of thirst, and there, on that very spot, appeared the narcissus flower, with its bright face and bowed neck. What does this myth mean? On one level, it is an admonition to treat others as we would be treated, and in particular to be considerate in responding to the affections of others, which, as with Echo, are often so raw and visceral as to be existential. Poor Echo had no self and no being outside of Narcissus. On another level, the myth is a warning against vanity and self-love. Sometimes we get so caught up in our self, in our own little ego, that we lose sight of our bigger picture and, as a result, pass over the beauty and bounty that is life. Paradoxically, by being too wrapped up in ourselves, we actually restrict our range of perception and action and, ultimately, our potential as human beings. And so in some sense, we kill ourselves, like so many ambitious people. Our self, our ego, is nothing but an illusion, nothing more substantial than Narcissus’s reflection in the pool of water. Ultimately, Narcissus’s ego boundaries dissolve in death and he merges back into the world in the form of a flower. Echo had not enough ego, and Narcissus far too much: the key is to find the right and dynamic equilibrium, to be secure and yet to dissociate. Santorini, one of 18 islands in the Cyclades, lies some 70 miles north of Crete, and consists of the remnants of a massive volcanic eruption that took place some 3,500 years ago and destroyed the Minoan civilization on Crete. The centre of the former island collapsed into the volcanic caldera to form a central lagoon. To cope with the hot and dry conditions and very strong winds, the vines are widely spaced (<2,500 plants/ha) and trained into an idiosyncratic basket shape (kouloura). Shoots are woven around the canes of previous years; after twenty years or so, the basket is cut off and another one is started from the same plant and root system. The basket traps humidity, and protects flowers and fruit from the sun, wind, and sandblasts. The baskets are able to sit on the ground because the young volcanic soils are inhospitable and there are no weeds or insects to contend with. As the soils do not contain any clay, they are immune to phylloxera: root systems can be centuries old, and vines are propagated by layering. However, yields are very low and all vineyard work must be carried out on hands and knees, making this a very expensive and potentially unsustainable form of viticulture. The nearby island of Paros, which is also buffeted by strong winds, has evolved a comparable training system called aplotaries, with the canes left to crawl on the ground. Santorini is reputed for its crisp, dry, and mineral Assyrtico blends made from a minimum 75% Assyrtico completed by Athiri and Aidani. These ageworthy wines, with their notes of lemon and stone fruits, combine high acidity with high extract and moderately high alcohol, and, on occasion, a touch of oak. A richer, more exotic style called Nykteri is made from overripe grapes, with some skin contact and barrel ageing. Most famous, at least historically, is the sweet vinsanto (‘wine from Santorini’, not to be confused with the Italian vin santo) made from a minimum 50% Assyrtico completed by Athiri and Aidani. Vinsanto must be aged for at least 24 months in oak. It can be made as a vin doux naturel, from late harvested grapes sun-dried for 12-14 days and fermented to a minimum of 9% alcohol; or as a vin doux (vin de liqueur) to a minimum of 15% alcohol. It is amber in colour with notes of dried citrus peel, apricots, raisins, figs, and sweet spice, together with high acidity and a touch of minerality. Is Wine Blind Tasting a Sport? Wittgenstein famously claimed that games could not be defined. But in 1978, Bernard Suits more or less successfully defined a game as ‘a voluntary attempt to overcome unnecessary obstacles’. In that much, sports resemble games. They also resemble games in that they take place outside of ‘real life’, and in that they have no tangible product: when they do have a tangible product, such as fish in angling, then this is largely incidental, and the fish are returned to the river. There are games like scrabble or monopoly that are clearly not sports. But are all sports games, as Suits claimed? While many sports like football and golf are also games, some sports like running, skiing, and rock climbing are not so obviously games other than in that they are voluntary and unnecessary. In ordinary language, we speak of ‘playing football’ or ‘playing a round of golf’, but not of ‘playing running’ or ‘playing skiing’. But if we are running from a lion, our running is neither a game nor a sport. Culture and politics aside, what is it that makes a sport a sport? If scrabble and monopoly are not sports, then this is surely because they do not involve any physical activity, or because physical activity is not their primary purpose and any physical activity incurred is merely secondary or incidental. In 2015, the English Bridge Union (EBU) challenged a decision by Sport England not to recognize bridge as a sport, a decision with consequences since it would deprive bridge from government and lottery funding. The EBU lost their High Court battle on the grounds that bridge does not involve physical activity any more than, as Sport England argued, ‘sitting at home, reading a book’. But physical activity on its own is not enough. The primary purpose of working out on a cross-trainer is physical activity, but this is classed as exercise rather than sport. What is needed for sport is not physical activity per se, but skill in the exercise of physical activity, with some athletes going so far as to test the limits of human performance. In 2005, Sport England recognized darts as a sport, presumably because darts involves skill as well as physical activity. By that account, video gaming, although targeted at a representational world rather than the real world, might also make the cut. Chess on the other hand is probably not a sport because, although it involves some physical activity, this physical activity is not particularly skilled, and, in any case, is not the primary purpose of chess. It is perfectly possible to get someone to move our chess pieces for us and still be counted as playing chess: in that much, the physical activity associated with playing chess is not central or even secondary but merely incidental. If I, as an amateur, decide to go skiing for a couple of days, is my skiing exercise or sport? The answer depends on my own attitude, whether I am skiing primarily to keep fit, or for the sheer thrill of pushing myself or simply being in the world: and I think that this potential for thrill, for exaltation, for a certain kind of joy—rather than just panting and sweating—is an important part of what makes a sport a sport. Well what if I meet a friend and we race each other down the mountainside? Does this competitive dimension make my skiing more of a game and therefore more of a sport? A person who develops a certain skill, whether in skiing or in baking or in any field of human endeavour, naturally wishes to measure that skill in competition with others who also lay claim to that skill. It is this competitive aspect that makes many sports so compelling to watch, although competition is by no means essential to popular spectator sports such as gymnastics and figure skating. What’s more, a sport need not make compelling watching to be counted as a sport: angling, cricket, golf, canoeing, and weight lifting are probably not the most exciting to watch, but are nonetheless sports. Wine blind tasting is one of my favourite pastimes. Fiercely fought competitions are popping up all around the world, and some of these competitions even have audiences. 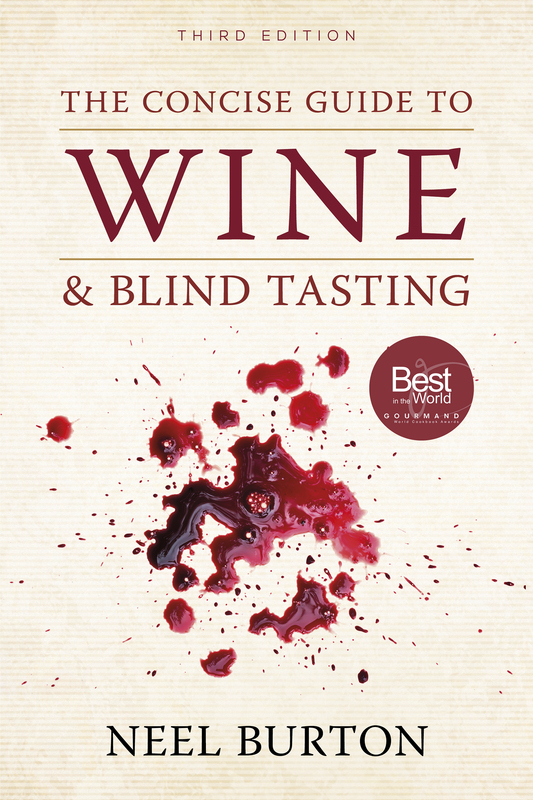 So can blind tasting be counted as a sport? Scrabble and monopoly are not sports because they do not involve any physical activity, but blind tasting clearly does involve some kind of physical activity, namely, tasting, and, as the name suggests, tasting is its primary purpose and not merely secondary or incidental. Moreover, this physical activity is highly skilled, and, in some cases, can be said to test the limits of the human body. It might be objected that the physical activity involved in blind tasting is not locomotor but gustatory, involving not the musculoskeletal system in tandem with the cardiovascular system but ‘passive’ senses such as olfaction, taste, and touch. It might further be objected, and this is an argument that I myself have made, that the real limitation in blind tasting is not in the tasting apparatus as such but in the cognitive appraisal of the wine, and thus that blind tasting is more like chess than snooker or darts—although it must be said that snooker and darts also involve an important cognitive element. Finally, it might be added that the thrill or joy in blind tasting lies more with the cognitive aspect than the tasting aspect, although that does depend on the wine. But unlike with chess, with blind tasting it is not possible to delegate the physical component: you cannot get someone to do the tasting for you and still be counted as blind tasting. In that much, blind tasting is more of a sport than chess, which the International Olympics Committee already recognizes as a sport. As any athlete will attest, cognition is an important part of any sport: why create arbitrary distinctions between the primarily physical and the primarily mental, or between the musculoskeletal system and the specialized senses? Are the nose and the tongue and the brain not also part of the body? And are they not also trainable, fatiguable, fallible, mortal? Chess, bridge, and maths have their associations, players, teams, training, rules, competitions, professionals, spectators, drama, and tears—everything, in fact, but a skilled, primary physical activity. And blind tasting even has that. Now pass me a napkin. The question of the meaning of life is perhaps one that we would rather not ask, for fear of the answer or lack thereof. Historically and still today, many people believe that humankind is the creation of a supernatural entity called God, that God had an intelligent purpose in creating us, and that this intelligent purpose is the ‘meaning of life’. I do not propose to go through the various arguments for and against the existence of God. But even if God exists, and even if He had an intelligent purpose in creating us, no one really knows what this purpose might be, or that it is especially meaningful. The Second Law of Thermodynamics states that the entropy of a closed system such as the universe increases up to the point at which equilibrium is reached, and God’s purpose in creating us, and, indeed, all of nature, might have been no more lofty or uplifting than to catalyse this process in the same way that soil organisms catalyse the decomposition of organic matter. If our God-given purpose is to act as super-efficient heat dissipators, then having no purpose at all is better than having this sort of purpose because it frees us to be the authors of our own purpose or purposes and so to lead truly dignified and meaningful lives. In fact, having no purpose at all is better than having any kind of pre-determined purpose, even more traditional ones such as to please or serve God or improve our karma. In short, even if God exists, and even if He had an intelligent purpose in creating us (and why should He have had? ), we do not know what this purpose might be, and, whatever it might be, we would rather be able to do without it, or at least to ignore or discount it. For unless we can be free to become the authors of our own purpose or purposes, our lives may have, at worst, no purpose at all, and, at best, only some unfathomable and potentially trivial purpose that is not of our own choosing. Some might object that not to have a pre-determined purpose is, really, not to have any purpose at all. But this is to believe that for something to have a purpose, it must have been created with a purpose in mind, and, moreover, must still be serving that original purpose. Some years ago, I visited the vineyards of Châteauneuf-du-Pape in the South of France. One evening, I picked up a beautiful rounded stone called a galet which I later took back to Oxford and put to good use as a book-end. In the vineyards of Châteauneuf-du-Pape, these stones serve to capture the heat of the sun and release it back into the cool of the night, helping the grapes to ripen. Of course, these stones were not created with this or any other purpose in mind. Even if they had been created for a purpose, it would almost certainly not have been to make great wine, serve as book-ends, or seem beautiful to passing human beings. That same evening over supper, I got my friends to blind taste a bottle of Bordeaux. To disguise the bottle, I slipped it into one of a pair of socks. Unlike the galet, the sock had been created with a clear purpose in mind, albeit one very different from (although not strictly incompatible with) the one that it had assumed on that joyful evening. Some might yet object that talk about the meaning of life is neither here nor there because life is merely a prelude to some form of eternal afterlife and this, if you will, is its purpose. (Usually, the idea of an eternal afterlife is closely allied with that of God, but this need not necessarily be the case.) One can marshal up at least four arguments against this position. (1) It is not at all clear that there is or even can be some form of eternal afterlife that entails the survival of the personal ego. (2) Even if there were such an afterlife, living for ever is not in itself a purpose, and so the question arises, what is the actual purpose of the eternal afterlife? If the eternal afterlife has a pre-determined purpose, again, we do not know what this purpose might be, and, whatever it might be, we would rather be able to do without it. (3) Reliance on an eternal afterlife not only postpones the question of life’s purpose, but also dissuades or at least discourages us from determining purposes for what may be the only life that we do have. (4) If it is the brevity or the finiteness of human life that gives it shape and purpose (not something that I personally believe), then an eternal afterlife cannot, in and by itself, have any purpose. So whether or not God exists, whether or not He gave us a purpose, and whether or not there is an eternal afterlife, we should strive to create our own purpose or purposes. To put it in Sartrean terms, whereas for the galet it is true only that existence precedes essence, for the sock it is true both that essence precedes existence (when the sock is used on a human foot) and that existence precedes essence (when the sock is used for an unintended purpose, for example, as a bottle sleeve). We are either like the rock or the sock, but whichever we are, we are better off creating our own purpose or purposes. Human life may not have been created with any pre-determined purpose, but this need not mean that it cannot have a purpose, nor that this purpose cannot be just as good as, if not much better than, any pre-determined one. And so the meaning of life, of our life, is that which we choose to give it.